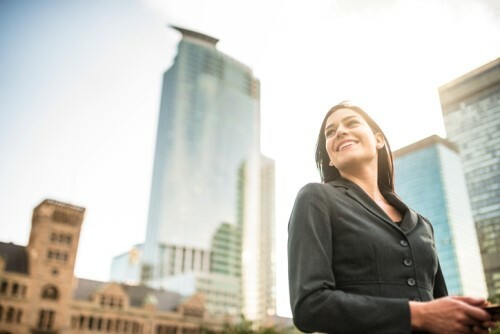 The insurance industry is no longer a man’s world – a health insurer was even named the number one employer for women by Forbes this year – but that doesn’t mean female professionals in the sector don’t encounter challenges in making it to the top of their fields. Linda Fisher, a speaker at the upcoming Women in Insurance event in Chicago, has worked as an independent agent for 30 years, and is now the agency owner of Cardinal Insurance Group in Michigan. She got her start in the industry after graduating high school, answering phones at an insurance agency to pay for college, and received her license eight months later. After realizing how much she loved this business, she was scouted by another agency and ended up being a key member of the team – to put it lightly. Instead of resting on her laurels, Fisher took matters into her own hands. She left that agency, and deepened connections across the industry with her state insurance agents’ association and other companies with which she already had strong selling relationships. She’s now been an owner for 14 years, and has expertise to pass on to other professionals planning a similar trajectory. Those relationships often turn into clients because Fisher ensures that her agency is visible and active in the community through this kind of work. She recommends other insurance professionals find their passion and pursue it because doing something that genuinely interests you can draw in others who you meet along the way, potentially resulting in business partnerships. Supporting other women is how Fisher helps to ensure that their success in the industry continues into the future. Fisher uses mentorships as one way to put words into action. She currently meets a group of seven agents from seven different states regularly as a way to support one another, and says that extending an invitation to others in your community or sector is a path to forming those meaningful relationships, which can prove fruitful in day-to-day work as well. “I mentor agents that aren’t even in the independent agency system, that are in the direct system, but they will send referrals to me when they come across stuff they can’t do and I will send referrals to them when I come across stuff that doesn’t fit our appetite,” said Fisher.